Joining a local chapter of PRSA is the best way to get the most out of your membership. The Central PA chapter is comprised of a diverse group of professionals at all stages in their careers, from recent college grads to the more “seasoned” APR Fellows. Among our ranks are practitioners in the corporate, government, nonprofit, education, health care and association settings – yet what we all have in common are a desire to continue our education, advancement of our profession and a willingness to share and grow from each others’ experiences. 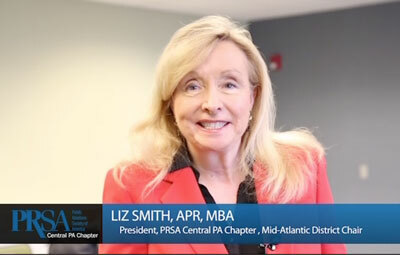 In order to qualify for membership in the Central Pennsylvania Chapter of PRSA you must be a member in good standing of PRSA National, agree to adhere to the PRSA Code of Ethics and be engaged in the practice or education of public relations. For more information on membership in the Central PA Chapter of PRSA, please contact our Chapter Administrator. For more information on membership in the national organization, check out the PRSA website http://www.prsa.org. Dues for chapter membership are $40, and dues for national membership are $290 ($65 Initiation Fee and $225 Annual Dues).